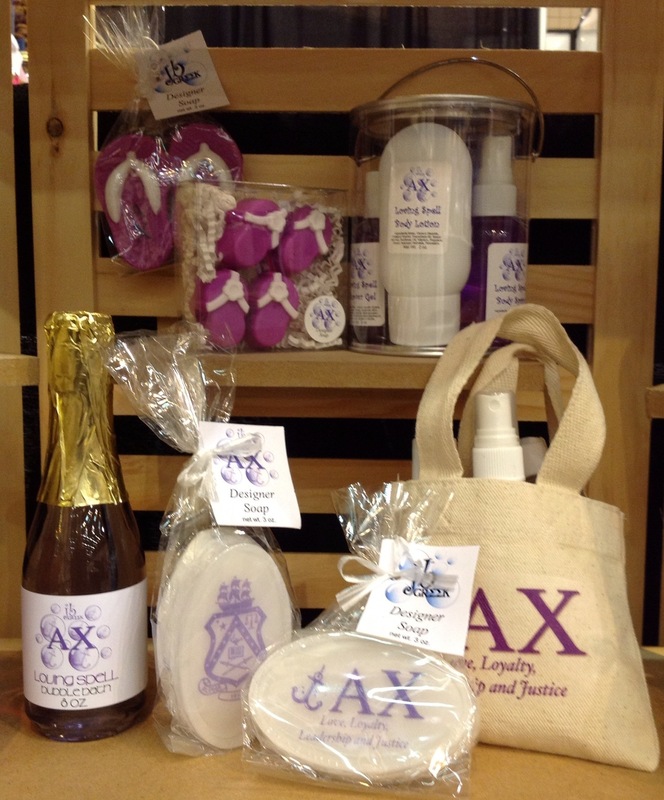 Choose from an assortment of our fabulous handcrafted bath & body products specifically designed for AX featuring custom colors, mascot and tagline. Perfect gifts for Sisters, alumni , friends or family. Relax with our Bubble Bath or wash with our Custom soaps. All products are hypoallergenic and gentle on your skin. Custom orders for your events are welcome - just ask!